So, a long time ago, as in, around the Thanksgiving staff dinner, Carrie and I had a bunch of people over. Actually, for the Thanksgiving staff dinner, Carrie and I had all of the staff over. At some point in the night Alivia Lusko decided to be sneaky sneaky and sneaky sneak a little yellow ball into our refrigerator. Well, it is now February, and nearing the end I might add, and well, that little yellow ball still sits in the same place. I am not sure why we are leaving it in there, but we are. 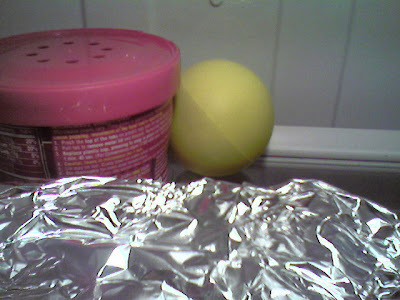 I guess there are a couple random things we keep in there for no good reason other than to blog. I will let you in on those other items later on. They are funny. Now, just so you know, I'm not talking about things that are moldy or gross or anything. 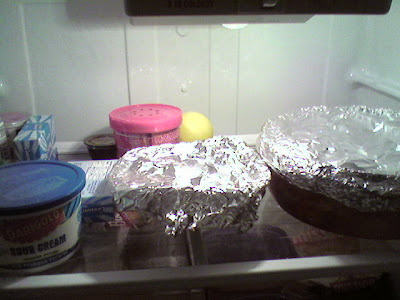 The random things in or fridge are just that... random things. That is all. Let us see how long the yellow ball will stay there. Tahini butter & jelly, its whats for dinner.